E Care Medical Supplies carries a large selection of Medical Air Mattresses. 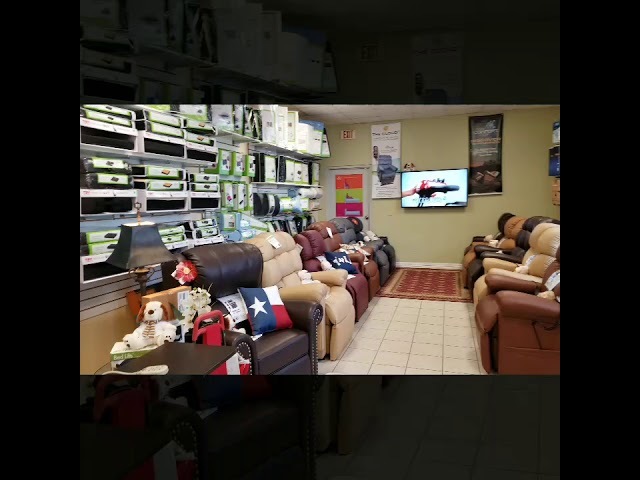 You can verify first hand the benefits of the Medical Air Mattresses by coming to our medical supply store in Houston TX and see if this is the right mattress for you or your loved one. Call us to order your Medical Air Mattress Today! Patriot 8 Low Air Loss APM 80 X 35 X 8 . Features a unique pump with 3 hose design that allows alternating cells airflow diffusion through the mattress surface at the same time . The vented top cover has a built-in air cell that forces air to flow between the cover the patient providing a true low air loss therapy . User friendly control unit w/variable comfort adjustments. Exceptionally quiet efficient. Wt. cap 350lbs. Med-Aire Essential 8 Alternating Pressure and Low Air Loss Mattress System. This combination therapy mattress system provides both alternating pressure and low air loss to optimize pressure redistribution and manage skin maceration. Designed to prevent treat and manage pressure ulcers in the home or long term care setting. The Med-Aire Essential incorporates a system of 18 8 deep individual bladders to maximize immersion and envelopment. The pump offers a static feature as well as adjustable comfort settings by patient weight. The removable cover is quilted for comfort low shear anti-microbial water-resistant and vapor permeable. CPR valve allows for rapid deflation. Suitable for any homecare wound treatment protocol. User-friend weight dials for customized therapy. High-quality functions include alternating pressure low air loss static float and low-pressure alarm with audio and visual indicators. Includes pump. 400-lb weight capacity. Patriot 8 Low Air Loss APM 42 Wide - 80 X 42 X 8 . Features a unique pump with 3 hose design that allows alternating cells airflow diffusion through the mattress surface at the same time . The vented top cover has a built-in air cell that forces air to flow between the cover the patient providing a true low air loss therapy . User friendly control unit w/variable comfort adjustments. Exceptionally quiet efficient. Patriot 8 Low Air Loss APM 54 Wide - 80 X 54 X 8 . Features a unique pump with 3 hose design that allows alternating cells airflow diffusion through the mattress surface at the same time . The vented top cover has a built-in air cell that forces air to flow between the cover the patient providing a true low air loss therapy . User friendly control unit w/variable comfort adjustments. Exceptionally quiet efficient. Invacare microAIR Alternating Pressure Mattress with On-Demand Low Air Loss And 50 LPM Compressor. Alternating pressure therapeutics support system with on demand low air loss 50 LPM compressor automatic pressure monitoring and automatic wireless fowler. Automatic wireless fowler prevents patient from bottoming out when bed is articulated. Energy saving 50 LPM compressor has alarm alarm silence and lock out features as well as static mode. Pressure is continuously monitored to maintain proper pressure redistribution based on patient weight. Quilted 70 denier nylon quilted cover nylon buckle straps and built in carrying straps. Treatment times are 5 10 15 20 minute cycles. Patriot Alternating Low Air Loss. Mattress System. Combines the benefit of Low Air. Loss Alternating Pressure. Amatech blower. 20 individual nylon urethane reinforced air cells. Static Alternate AutoFirm modes of operation. 8 of True Air Loss Support. 4-Way stretch top cover w/ quilted liner providing a low shear low friction vapor permeable surface. Exceptionally quiet user friendly. The Masonair LS9000 system offers an extraordinary therapeutic mattress system for the prevention and treatment of pressure ulcers. The Powerloft Pro 900 pump produces 1180 liters of air flow per minute offering a cool and dry sleeping surface. The 10 Adjustable Comfort Settings allows pressure to be customized by patient s weight. The Auto-Firm feature allows for a 1 minute fill rate. The exclusive Pulsate mode reduces the air flow every 30 seconds to 50 of the comfort setting. This feature will intermittently reduce pressure and increase blood flow. The internal pressure control sensor continuously monitors surface pressure for optimal pressure redistribution. For use in the Homecare Long Term Care and Acute Care Markets. Power outage protection with 2 foam base. Static function can suspend the pulsate mode. Visible and audible alarms with Alarm Mute feature. CPR valve allows for rapid deflation. An Alternating Pressure Mattress System from Drive and Mason Medical is designed to aid in the prevention and treatment of pressure ulcers-also known as bed sores-by inflating and deflating air cells within the mattress in a regular pattern offering pressure relief and improving air circulation. The LS9000B is one of the most advanced systems in the Masonair series providing Low Air Loss capability for an aerated cool dry sleeping surface and added width for bariatric patients. The unit s advanced microprocessor sensor technology also continuously adjusts for optimal pressure redistribution. Ships in 1 - 3 Days - Get The Best!